Widely hailed as a landmark project, Zun Lee’s monograph is at once documentary photography and personal visual storytelling. Through intimate black-and-white frames, Father Figure: Exploring Alternate Notions of Black Fatherhood provides insight into often-overlooked aspects of African-descended family life. The reader gains an intimate view into the daily lives of black men whom Lee has worked with since 2011 and who are parenting under a variety of circumstances - as married fathers, single fathers, social fathers, young and older, middle class and poorer. Lee brings into focus what pervasive father absence stereotypes have distorted - real fathers who are involved in their children’s lives. Men who may not be perfect but are not media caricatures. 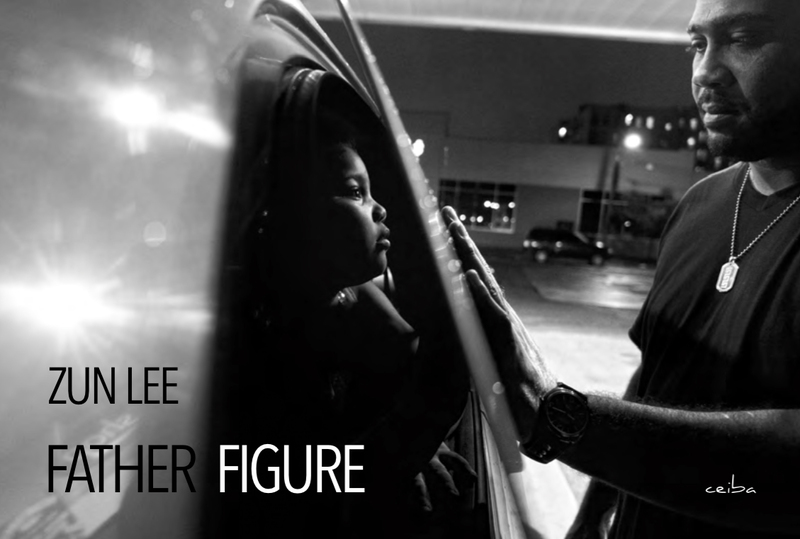 Zun Lee's journey of fatherlessness and identity formation informs his insider perspective and photographic approach. Using his own biography as inspiration, Lee is able to access a complex subject matter with profound vulnerability and compassion, creating a richly woven narrative that is deceptively simple yet multi-dimensional and above all, deeply humanistic. Flanked by writer and photographer Teju Cole’s empathetic foreword and by an impassioned afterword courtesy of Pulitzer Prize-winning journalist Trymaine Lee, this work exposes the viewer to aspects of black male identity that many have not seen, or perhaps do not want to see. It shows these men not as victims of their circumstances but as empowered agents in their own lives, as capable parents, and above all as loving, wholesome human beings.